I turned on my tablet a short time ago and read Leigh's post about suspending belief. Oddly enough I'd been working an article in my mind all day about suspended belief. Thank goodness my idea is a different take on the subject. The idea of suspended belief has never really bothered me because as a voracious reader, every time I pick up a mystery, thriller, science fiction or even a western to read I know I'm going to suspend belief. Do you really think that each time Jack Reacher goes to any new town he's always going find someone that needs his help? An underdog, often a vulnerable female needing him to go up against a monstrous gang of bad guys he'll have to beat-up or better yet kill them all. Remember, Murder She Wrote. We all laugh and say, I don't want to go to Cabot Cove Maine. Because in that quaint little beach town, that's the murder capitol of the world, I might find a body. Angela Lansbury/Jessica Fletcher always did. But we always suspend belief to read the story. As writers, we try very hard to make our mystery world as real as possible so our readers will absolutely suspend belief and read our books. One of the major strengths of a mystery story. To make our character's world as real as possible we research our character's job. If it's law enforcement or private investigation or newspaper reporter or international spy we try our best to make that job sound as authentic as possible. It helps tremendously if we have actually worked in the field we are trying to portray. The lingo of the field is especially important. If our character is an amateur sleuth it often helps if that character has a love of cooking or bird-watching or quilting or something that we also do ourselves. It can add to the "reality" of our story. If as a writer we don't have the job or hobby experience then research, research, research. Naturally, life experience or life knowledge can help. All can be used when writing and setting up the suspension of belief for our readers. Something I try to do, in my book especially, is to include as much "truth" as possible. A "universal truth," as my mystery writer friend, Susan Rogers Cooper and I call it, is often a good thing to include. For instance, if my female character is to pack for a four day trip, she notes that she only has three clean bras that are really nice enough for the trip. So she either has to go buy a new bra or two, plan to wash one on her trip or pack one of her old "house only" bras. Almost all women can relate. It is so true. A lot of men can't relate but, men probably won't mention what he is packing in his book. My main hope is when I do find a body someplace and write about it, you know I probably have not found a body our here in the Texas Hill Country but, you will believe me and suspend belief. Wasn't it Freud who said that lies are more revealing that truth? I think that goes for novels, too. Interesting post, Jan. I think Paul makes the crucial point: As readers, we'll believe almost anything that's consistent with the fictional universe the author creates. We don't have to believe people can fly to enjoy Superman, and we don't have to believe anyone could really stumble across that many corpses to enjoy watching Jessica Fletcher. We might make jokes after the show is over, but that won't keep us from watching again next week. If Jessica Fletcher suddenly begins to fly, though, we might have a problem. And if Superman suddenly begins to solve murders, we--no, scratch that. He's Superman. He can do anything. In any work that tries to seem at all realistic, I think it's also important that characters act and feel in ways human beings actually might. We'll believe in all sorts of impossible situations as long as the characters respond to those situations in ways that seem real. One important way to make something believable in fiction is to ground the idea early in the story. Will the solution to the mystery involve a relative? Okay, but introduce that character early in the book. Not just at the denouement. Or will your protagonist use magic to solve the crime? Great, as long as I know early on that the character has magical abilities. If a characteristic plays an important part in the plot at the end, and it was grounded early in the story, the reader will think, yes, of course; I should have seen that coming. If not, it will come across as a cheat and that book may be thrown against the wall. Exactly right Paul. We as writers have to keep our fictional world totally true to the laws of that world. And yep you need not worry about the bras. 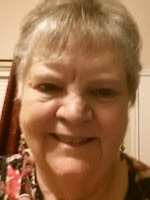 Thank to Janiice, Bonnie and Barb for your comments and words about truth in our fiction, And I am mm totally with you Bonnie,on Superman solving murders. He most likely could but that's not really his job. And I DEFINITELY agree with you Barb. A writer just better not bring up the murderer at the end with someone who we've never heard of before. That is honestly lazy writing. Janice I'm not familiar with that quote but it makes sense. Leave it to Jan to wonder what a man is packing!